Federal Trade Commission (FTC) has filed lawsuits against nearly 30 collection agencies across the nation. 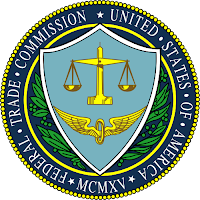 FTC has been forced to take legal action against the collectors creating unnecessary financial distress upon the cash-strapped consumers. It is reported that FTC has registered a legal complaint against a California based debt collection agency in October 2011. This particular collection agency has given false threats to the consumers and thereby broken the FDCPA laws. FTC has registered a case against a California based debt collection agency for violating the FDCPA laws. The district court has ordered the collection agency to cease their business at the special request of the FTC. The FTC officials claim that the collection agency has broken the FDCPA laws deliberately. They have given empty threats to the consumers. The collectors have threatened to take the consumers to court if the debts were not paid. Moreover, they told that the consumers would be put into the jail if the bills remained unpaid. The surprising fact is most of these consumers didn’t owe a penny to the collection agency. So people that bought and enjoy goods using other people's money (credit) walk away scot-free and Joe the cash-strapped business takes it in the shorts. Welcome the end of America. This is good action. The collection which uses illegal way of debt collection need to penalized. When a debt collector/debt collection/debt buyer company can repeatedly call with the intent of getting money their customers can repeatedly answer or call back with the intent of not giving them any. They need people to pay with as little talk as possible. They don't want to talk with people who know they are never going to pay. Be all talk and no pay. Answer when convenient. Call back. Give no information. Verify nothing. Ask as many questions as you can. Answer none. Don't ignore/block/report them. It doesn't work. These folks want you to ignore them for as long as you can stand to or until you give them something valuable like money or information. Ignoring them is being their good customer. Sending a cease and desist is giving information. It lets them know you are still alive and remain their good customer. Preparing to initiate unlikely individual legal battles is being their good customer. Be their bad customer. Make them talk to you fruitlessly for as long as they can stand to or until they stop selecting you as their customer. These companies cannot spend seconds much less minutes on the phone with every person who will never send them a dime. But they don't know who that is. You do. That knowledge is power. Every second you can keep their staff on the phone will render their business less profitable giving them a reason to never call you again. One person who does this likes to ask general questions they should but usually won't answer, "May I have the name and address of your agent for service of process?" Calmly and slowly ask them to spell every word in the address. Read it back for verification. Control the pace. If they are rushing then politely ask them to slowly repeat. "Are you a corporation and if so in which state are you incorporated?" Repeat your questions when you don't get direct answers. When they won't answer a question ask, "Would you like to comply with the business and professions codes of your state?" That is usually the point when they hang up on me but if they say they want to comply then begin your questions again. Repeat while you have the spare time. These folks have many victims and few operators. If everyone calls back but pays nothing the mass auto-dialer business model becomes unprofitable. Don't aid and comfort the enemy by ignoring them. Call! Have a nice long slow friendly chat! Make them hang up first. There are certainly enough victims to take down debt collectors so ignoring/blocking seems downright Orwellian. Really? We're just going to passively submit and go with a block list or however we manage ignoring an endless stream of unwanted phone calls day after day? No! Unite or remain conquered. Answer/return every call - become well practiced at keeping these folks on the phone - or count yourself not amongst the free. Debt collection is a taxing process.At times attorney-based collection agencies are sough as they are professional to work & respond on time for the collection process.Commercial recovery collection agency is the service we need to choose.The nationwide presence of these collection companies are always helpful no matter where the case is.